I just LOVE a farmers market. I love local farming and the pride the farmers have in their product. I love the colors, the sounds, the fresh prickly pear lemonade, and the all the people buy food, who are supporting local farming. I would love to see a shift away from big box grocery stores to more farmers markets some day – it’s better on the environment, it supports local economy, and provides fresher more nutrient dense food. Many of these farmers literally picked their products for the market this morning. Amazing. Precisely! And honestly, if you buy what is in season, it is a lot better on your wallet, too! 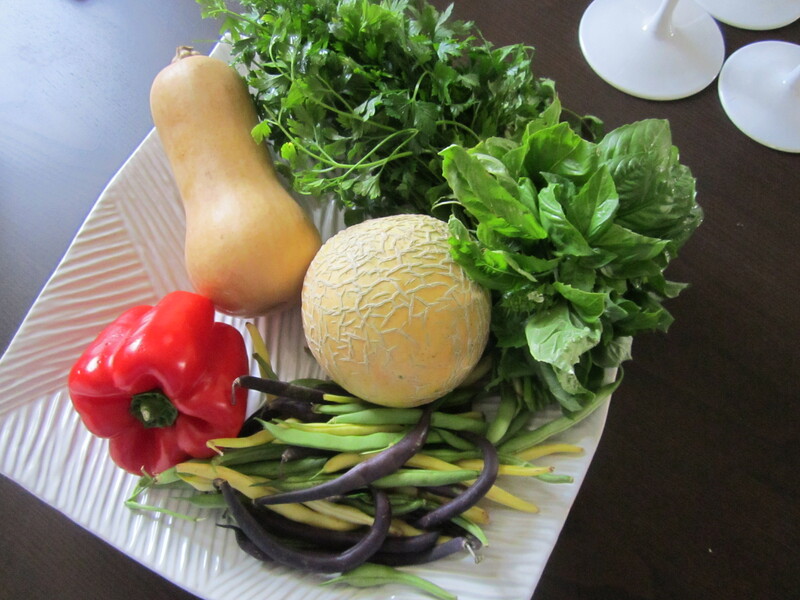 The loot I picked up from the farmers market today was a total of $7 – for all organic parsley, basil, heirloom green beans, butternut squash, red bell pepper and a super sweet cantaloupe.